We are farmers working with farmers to explore how growing trees can make farming more environmentally sustainable and economically rewarding. 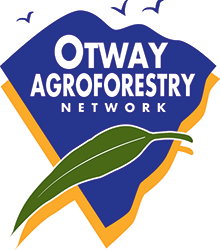 Set up by local farmers with government support, in 1993, OAN is a not-for-profit community organisation with more than 200 member families, most of whom are local farming families. OAN is supported by a management team, an advisory committee and a group of trained peer group mentors - all are local landholders themselves. Our approach is very different to that used by many other organisations that seek to encourage farmers to grow trees. We are not a government agency, industry organisation or environmental group that is seeking to get trees in the ground to meet a particular political, industry or environmental goal. We are a landholder group working for and on behalf of our members. The network provides guidance, knowledge, contacts and experience. We negotiate with government, conservation groups and industry to facilitate partnerships that are in the interests of our members. We run field days, deliver education and training courses, produce books and information sheets, undertake research, explore new market opportunities, lobby government and industry, and provide one-on-one extension support for our members. We are fortunate that Federal and State Governments, the CCMA, and a number of philanthropic organisations have recognised the public benefits arising from our activities. We are also attracting the interest of agricultural commodity groups, timber and bushfood buyers, furniture makers and conservation groups who can see value in working with us.